NEW YORK -- As New York prepares for its most meaningful presidential primary in decades, some of the candidates' most passionate supporters are finding out they will be spending Election Day on the sidelines. Under state rules, only registered Democrats can vote in Tuesday's Democratic primary. And only registered Republicans can vote in the GOP contest. As for the 3.2 million New Yorkers registered with no party or a minor one, they are out of luck if they want to influence the outcome of the Democratic or Republican races. The deadline to switch to one of the two majors for the purpose of voting in the primary passed without fanfare back in October. Two of Donald Trump's children, Ivanka and Eric Trump, revealed recently they missed the deadline, thus barring them from voting for their father. Passionate Bernie Sanders supporter Valerie Kelemen also failed to switch in time. "I got very energized by Bernie Sanders last summer. Only in January did I start to get active," said Kelemen. "I then realized that I couldn't switch my party to Democrat because I had missed the Oct. 9, 2015 deadline." About 20 states now hold "open primaries" that allow independent voters to cast ballots in the presidential primary of their choice, but that list doesn't include some of the biggest prizes on the election calendar, including New York, Florida and Pennsylvania. "New York state has some of the most archaic voter laws in the entire country," said state Assemblyman Fred Thiele, an independent from Long Island. "It's hard to register to vote. It's hard to get an absentee ballot. There's no early voting in New York. There's no voting by mail. If you want to vote in New York you really have to want to, and even if you want to vote sometimes they won't let you vote." Turnout numbers for New York City and state suggest that voters are either apathetic or, as the critics say, kept away by rules that make it hard to cast a ballot. 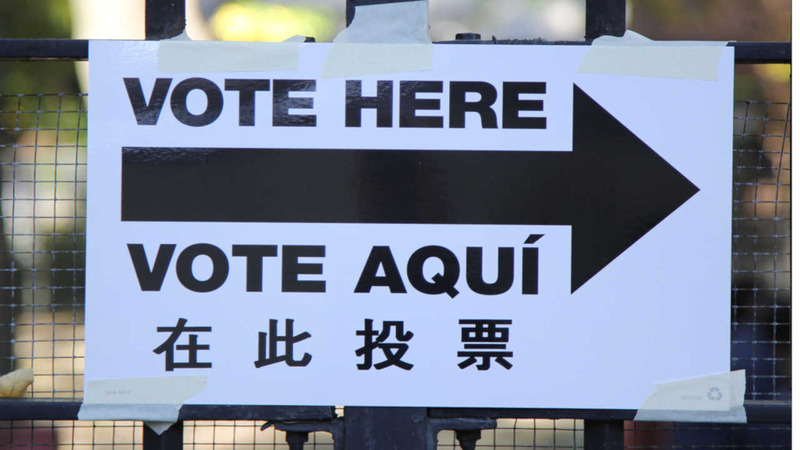 Just 58 percent of the city's registered voters participated in the 2012 general election and only 26 percent of registered voters took part in the city's 2013 general election, when Democrat Bill de Blasio was elected mayor. "Turnout in recent elections in New York has been abysmal and yet our laws often prevent, rather than encourage, people from participating," said New York City Comptroller Scott Stringer, who supports changes to state law including Election Day registration and greater access to absentee ballots. New York state Board of Elections spokesman John Conklin said the long lead time to switch party registration has been in effect for at least a century and is intended to keep members of one party from manipulating the outcome of the other party's primary. He added, "When it was implemented, it was considered a reform." Ivanka Trump, the oldest daughter of the Republican front-runner, told CNN's Anderson Cooper on Tuesday that she valued independence from the party system. "I've always voted based on the candidate as opposed to based on the party," she said. "New York has one of the most onerous rules in terms of registration, and it required us to register a long time ago, almost close to a year ago . and we didn't do that. We found out about it sort of after the fact."